This is one Crelly Glitter Sandwich that turned out nicely! It's pink, pink, and pink with a side of pink, and a little smidge of pink on the top. But it's not overdone. Fishin' for Fun has been sitting in my helmer since I bought it. I picked it up with Are You Hoppy, earlier this year and completely forgot about them my house elf stole them for his nest. (Don't get me started on that hairtie FIEND.) I'm not sure if I thought application would be problematic, but I held off on trying it for whatever reason, until now. 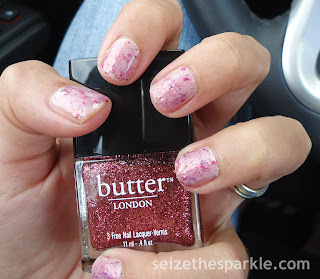 The polish is brimming with rose and fuchsia colored glitter shards... No fishin' necessary! Rosie Lee was another untried polish sitting in my Helmer, begging to be used. 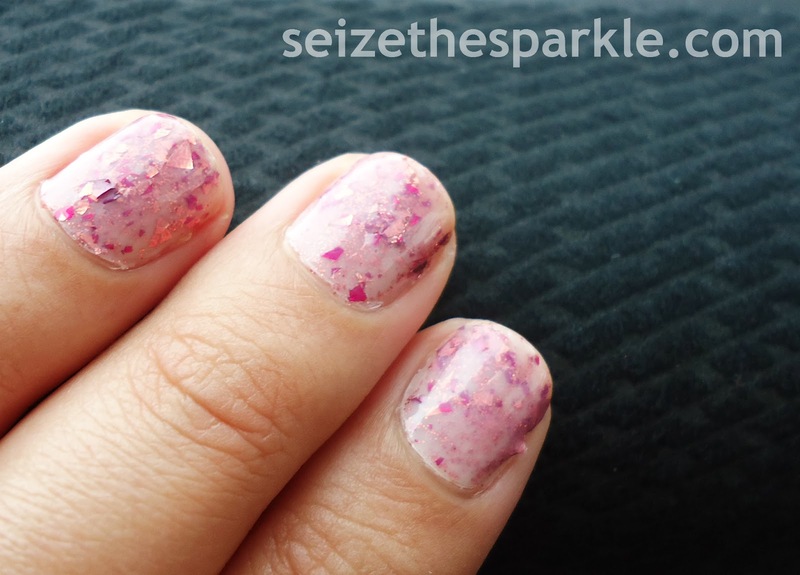 The light rosy pink matched Fishin' for Fun perfectly, and added contrast to the big glitter shards. 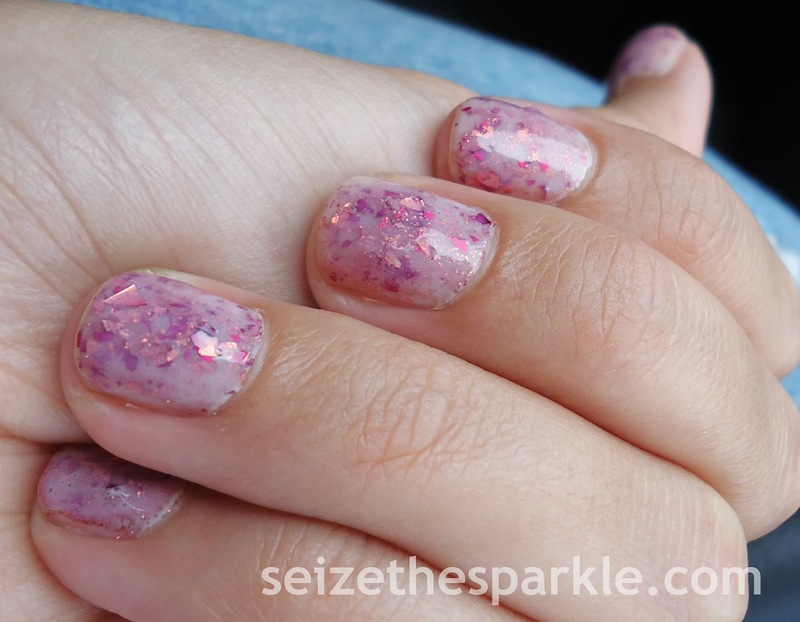 Two coats of 2% Milk went over all the glitter, and made the base a more noticeable pink. I'm not sure if you can see in the pictures, but I do have a tiny piece of glitter sticking up on almost every nail. I thought one coat of clear, followed by one coat of Seche Vite would be enough, but I should've done another coat or two to smooth the glitter out. No worries. One of these days, I will get around to picking up Gelous. Swear. Now that I've tried Fishin' for Fun, I want glitter shards in all.the.colors. Because that's just how I am. There's never enough glitter. Never. Would you rock Milkie Fish Shards?